Craig Gordon believes former Celtic team-mate Virgil van Dijk could become "one of the great centre-halves in world football". The 26-year-old Holland international will join Liverpool from Southampton on January 1 for £75million, understood to be a world-record fee for a defender. 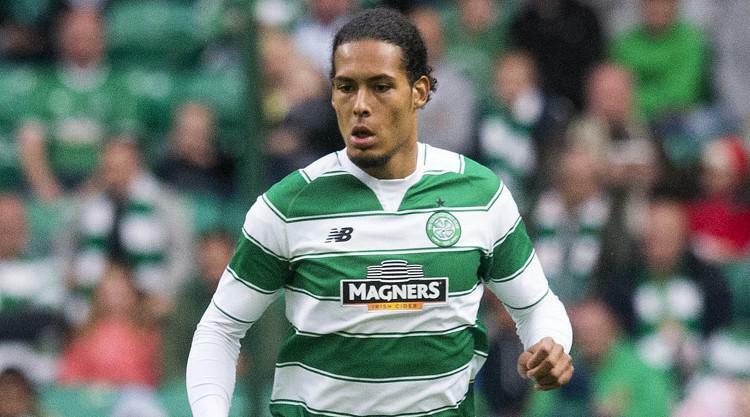 Van Dijk joined Celtic from Dutch side Groningen in 2013 for around £2.5millon and left for St Mary's two years later for a reported fee of £13million and during his time in Glasgow he left a huge impression on the Hoops goalkeeper. Gordon said: "He would be the benchmark for anyone coming through, especially here. When I played with him he was without doubt the best centre-half that I have ever played with. "He has absolutely everything to go on and become one of the great centre-halves in world football. "I knew when he left here, I was fairly sure that Southampton wouldn't be his club for very long. "He is a fantastic footballer and I am sure he is going to do an excellent job for Liverpool. He is a top-class defender, everybody will get to see the best of him now he is playing at a top club." Gordon is confident that Van Dijk will prove to be value for money in the years to come. The Scotland goalkeeper said: "He is still young. He could have eight or nine years at Liverpool, maybe longer. "It could well end up being value for money. "I know it sounds an awful lot of money now but if he is there for 10 years and is the mainstay in that team and keeps everything together and stops them losing goals then it is well worth the money." Celtic are set to receive a seven-figure sell-on fee from Van Dijk's transfer and Hoops boss Brendan Rodgers acknowledged that the Dutchman's progress personified the ethos of Celtic in terms of spotting and recruiting gems, developing and selling. He said: "Celtic bring in players and they will develop and improve here and obviously they will move on." The former Liverpool boss, however, insists Van Dijk should not concern himself with his price tag. He said: "It is obviously great for Virgil firstly because he has gone to a brilliant club where every aspect of you as a player is tested, how you cope under pressure and the microscope goes on to him every game he plays. "But he looks a great talent and he will obviously go on to a great club and hopefully prove that."